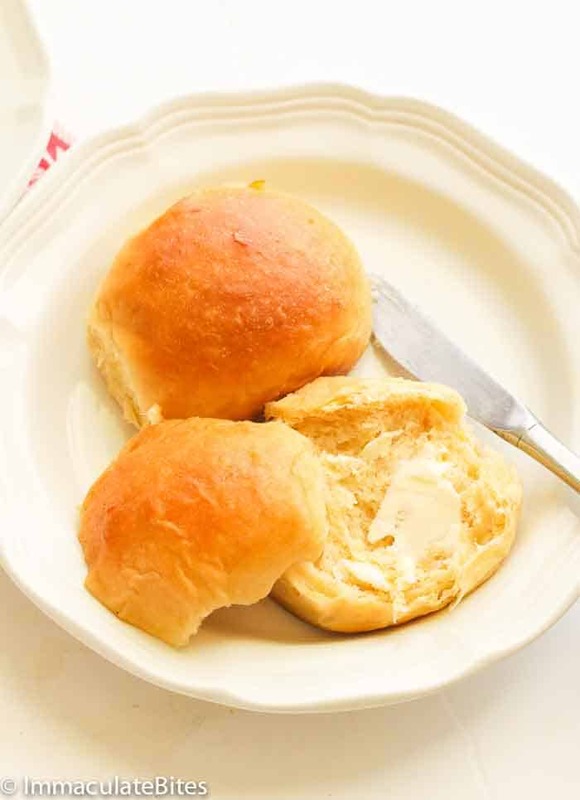 Hawaiian Sweet Rolls – Fresh and warm Hawaiian rolls; buns that have a kick of sweetness from the pineapple juice, brushed with butter and baked to perfection. You are never going to buy store bought version again. 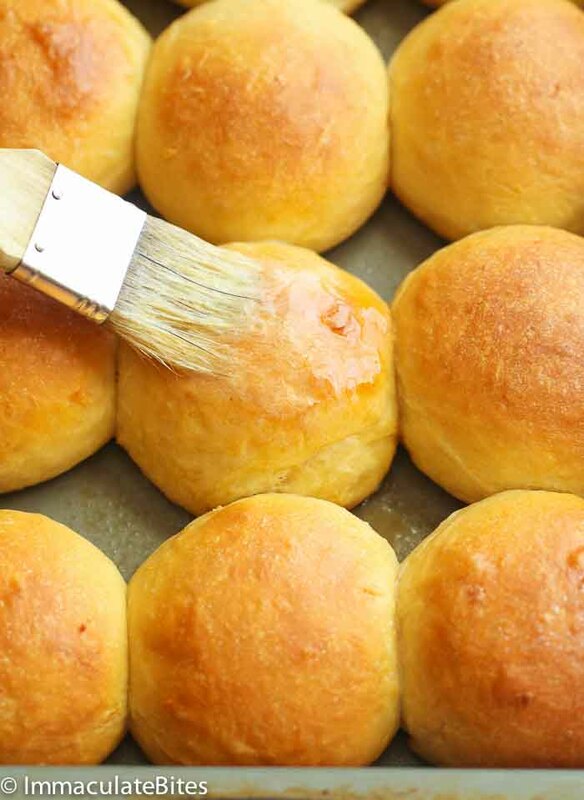 These rolls are sweet, fluffy and might I say a million times tastier than the store-bought brand. 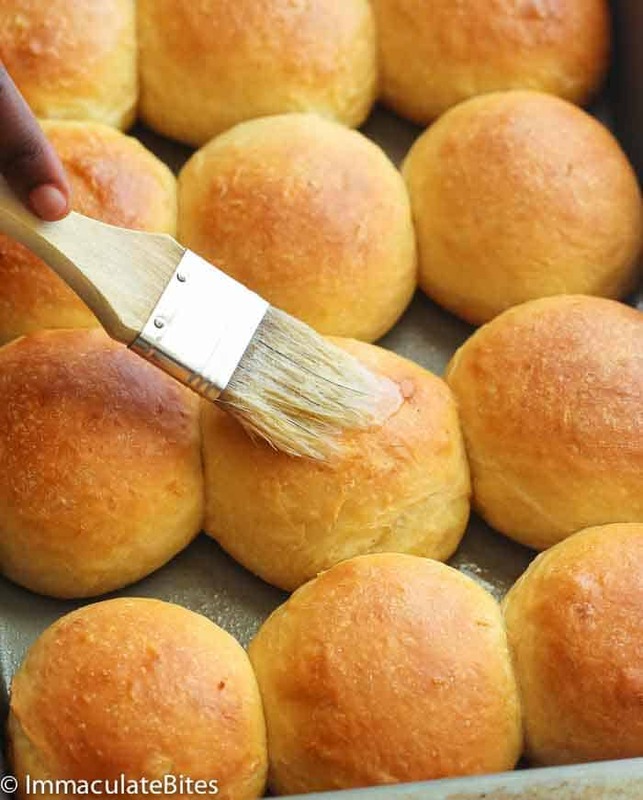 Homemade bread – fresh from the oven – you can’t beat the taste or the smell. I have to admit bread rolls are my favorite part of any meal when dining out. Most of the time, I frequent restaurants based on their bread selection. Then I would totally skip the main course, eat the basket full of bread until am stuffed. I know it may not be such a good thing for my waistline, but I can’t help it! I have to indulge once in while. You understand, right? 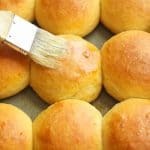 Hawaiian Rolls are made using pineapple to sweeten it up- making it really sweet and an indulgent bread. 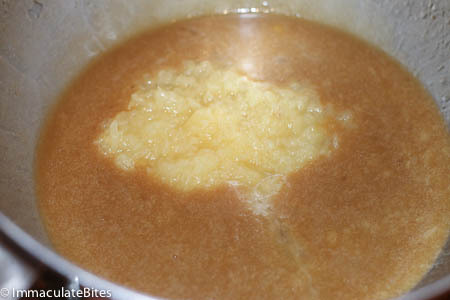 Most recipes call for pineapple juice and there are quite a few with crushed pineapple. I prefer the later, trust me you would barely taste the pineapple. 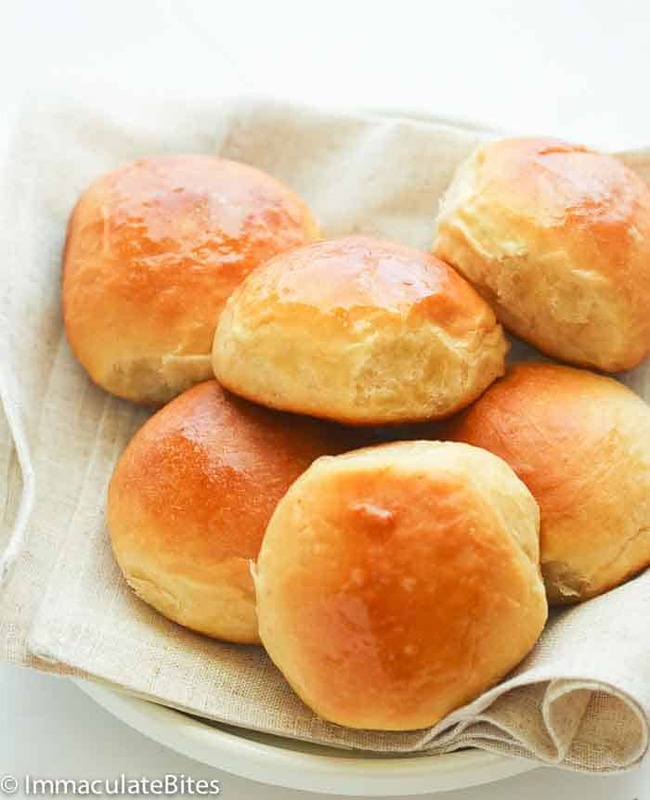 In this recipe, I added pineapple, and brown sugar to my already trusted milk bread to make these Hawaiian sweet rolls. Make sure the water is not too hot. You don’t want it warmer than body temperature. In order for your bread to be fluffy, it has to double in size. Be patient with it (in might take longer some days depending on weather). If your bread does not rise in an hour, try turning on the oven to warm for 10 minutes. Then, turn it off and let the dough rise in the oven. If all fails, mix rapid rise yeast into the dough and knead. This recipe was first published in March 2014 It’s been updated with fresh new pictures and content. 1 1/2 teaspoon (6.3 grams) vanilla extract. 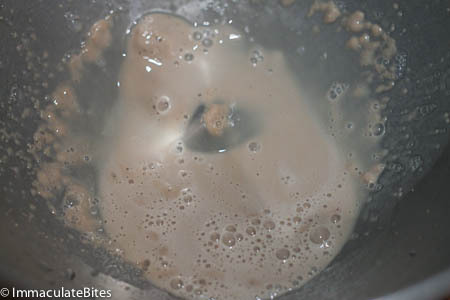 In a standing mixer combine 2 tablespoons of lukewarm water and yeast. Let it sit until dissolve for about 5 minutes. Mix for about a minute. 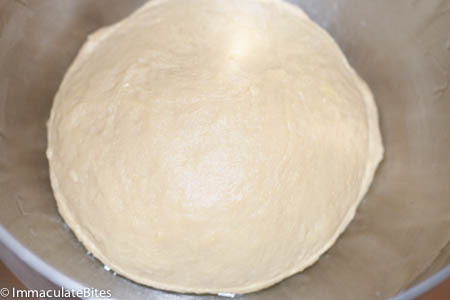 Mix on medium high speed using a dough hook until all the ingredients are combined. 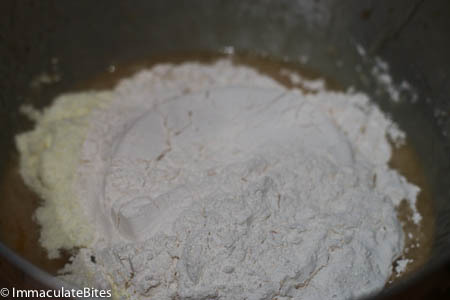 Then add 3 3/4 flour cups of bread flour and continue mixing dough and stop when the dough doesn’t stick to the sides or bottom of the bowl when kneading. 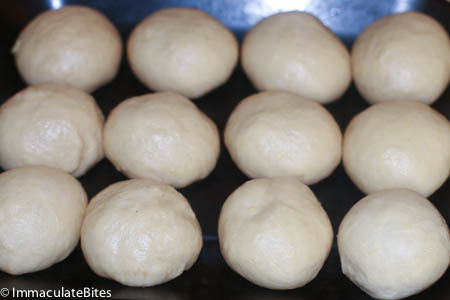 Turn dough on lightly floured surface and knead for 8 to 10 minutes or more if you want airy bread. 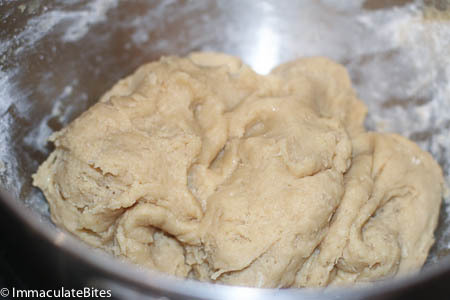 Or you may continue kneading with a dough hook for about 8 minutes. 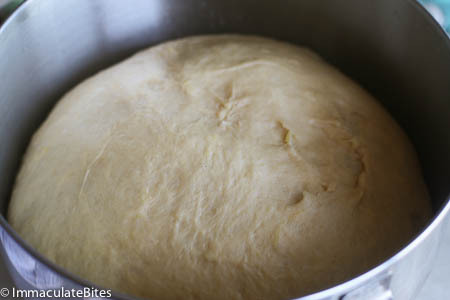 Place bread dough in a greased large bowl. Covers loosely with a clean clothe and let rise in a warm, draft-free place for 1 to 2 hours or until doubled. Punch the dough down. Pre-heat the oven to 350 F. Brush the top of the loaf with melted egg wash. Bake until the crust is deep golden brown and the bottom of the loaf sounds hollow when tapped, 20 to 25 minutes. Hello! I just saw this on your Instagram page. Totally LOVING it! My question is can I swap out the milk for almond milk or coconut milk. Kindly advise. Thank you. Sorry to hear about this, did you use U.S standard measuring cups? Me thinks that is the culprit. I have made this recipe several times and it does work. 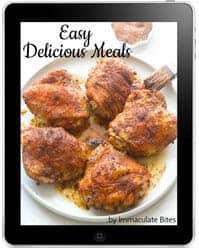 Could you please teach me how to increase(double, triple…etc) a recipe without changing its consistency? I have tried to and horribly failed at it before. I love these! I also doubled them . They keep well in the ice box, reheat just fine. My family says they have an almost sour dough flavor. Thank-you! Lisa, glad to hear it was a hit with you and your family. Thanks for the feedback. THANK YOU!!! I have tried so many recipes trying to get one that actually tastes like hawaiian bread. I just put them in the oven and the dough tastes AWESOME!!! 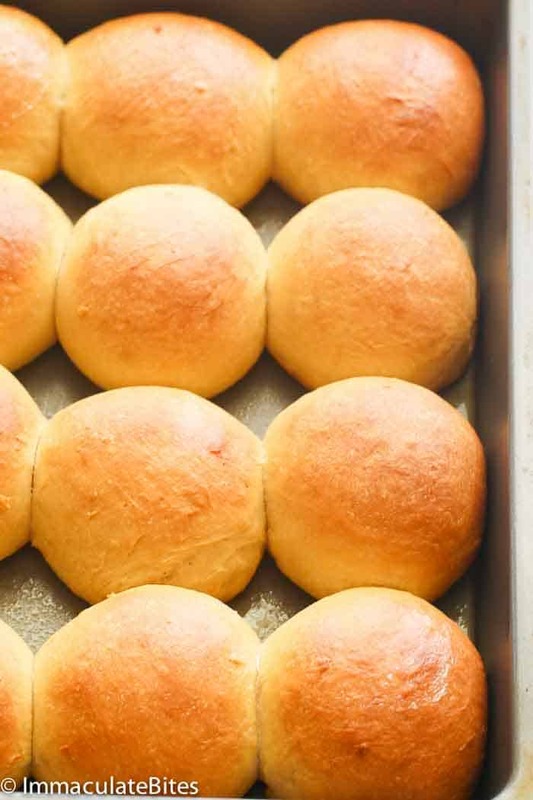 Have made these rolls several times now and the entire family loves them!! I double the recipe and freeze a couple dozen at a time and use them for pulled pork sandwiches. These freeze perfectly and reheated are just like when they first come out of the oven on baking day. Glad to know it has become a family favorite. Thanks for the feedback- greatly appreciate! I am with you on dining out being all about the bread basket! I love Hawaiian rolls! I had no idea that pineapple was used to sweeten them. I can’t wait to try them out at home! Lindsey you would love them. 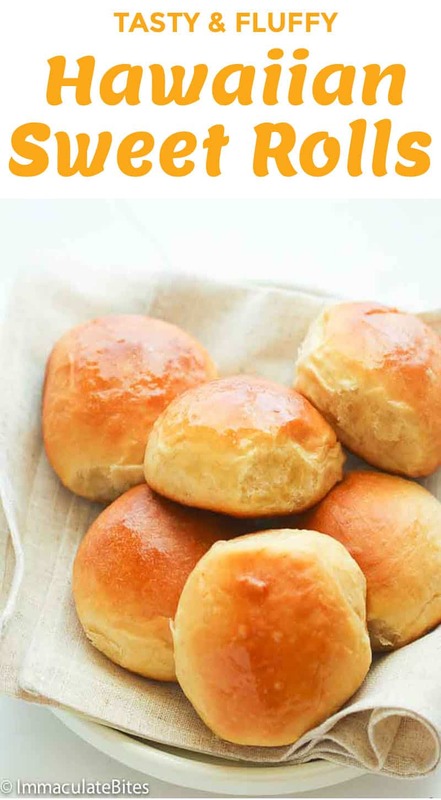 Yum, I love Hawaiian rolls so I can imagine how great these are because homemade is always better! !